For the ninth year in a row, the annual breast cancer screening campaign, known as the Pink Caravan, is set to tour the United Arab Emirates, offering free check-ups for both men and women. The 30-bus caravan is equipped with state-of-the-art onboard clinics and well-trained medical professionals. It’s scheduled to tour the seven emirates between the 21st of February and 2nd of March. In 2018, the campaign managed to diagnose 15 positive cases of breast cancer, the highest number so far in a single edition. Since early detection is the key for effective cancer treatment, the Pink Caravan is aiming to provide check-ups for 9,000 people and during their road trip of the emirates raise awareness about the disease. 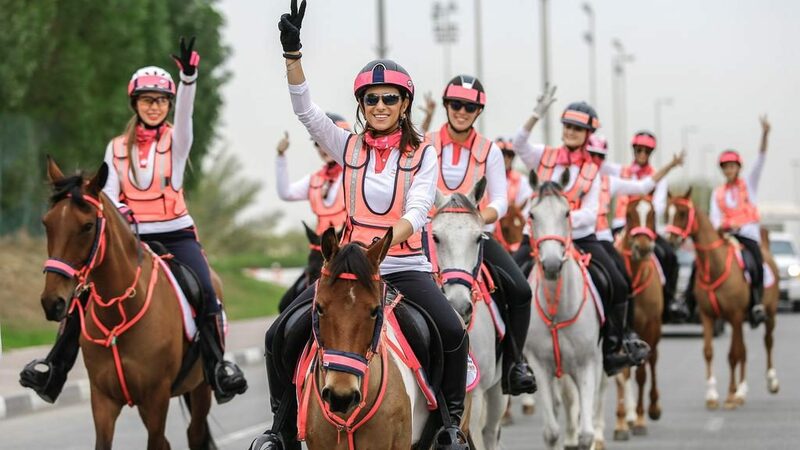 The Pink Caravan will be accompanied by pink-wearing equestrian volunteers who will help with the examinations and speak to the people about breast cancer, its stigma, and why undergoing this check-up matters. In addition, there will be lectures by medical experts, self-examination tutorial, and workshops to encourage the people of the UAE to undergo more check-ups. When the Pink Caravan was first initiated, Reem bin Karam, Head of the Pink Caravan’s Higher Organising Committee, was worried about how the Middle Eastern mindset, which traditionally viewed breast cancer awareness as a taboo topic. Nevertheless, the campaign was received with open arms and has grown to be a nationwide movement encouraging early detection which could highly reduce the risk of the disease. To the people of the Emirates, it has become a celebration of hope, health, and awareness. Since its start in 2011 until 2018, the Pink Caravan has made a total of 56,806 clinical examinations, discovered 61 positive cases, and traveled 1,715 kilometers in the process. Such staggering feet would not have been possible without the encouraging efforts of His Highness Dr. Sheikh Sultan bin Mohammed Al Qasimi, Member of the Supreme Council and Ruler of Sharjah, and his wife, Sheikha Jawaher bint Mohammed Al Qasimi, Founder and Royal Patron of FOCP. For more on the schedule of the caravan click here. WE SAID THIS: The UAE is paving the road for a healthier, more aware nation!